Miami City Ballet’s mission is to produce and present the highest level of dance performances throughout Florida, the United States and abroad, train young aspiring dancers, and develop Miami City Ballet School into a leader of dance education. On Give Miami Day 2018, MCB will be raising funds for Ballet Bus, a landmark scholarship program that aims to level the playing field for students historically missing from arts engagement, offering support for up to ten years. Presented in partnership with Miami-Dade County Public Schools and Superintendent Alberto Carvalho, Ballet Bus eliminates two of the largest barriers to arts access: the cost of premier dance training and the challenges of securing reliable transportation. Presented in partnership with Miami-Dade County Public Schools and Superintendent Alberto Carvalho, Ballet Bus was created to eliminate barriers that prevent young children from participating in the arts. 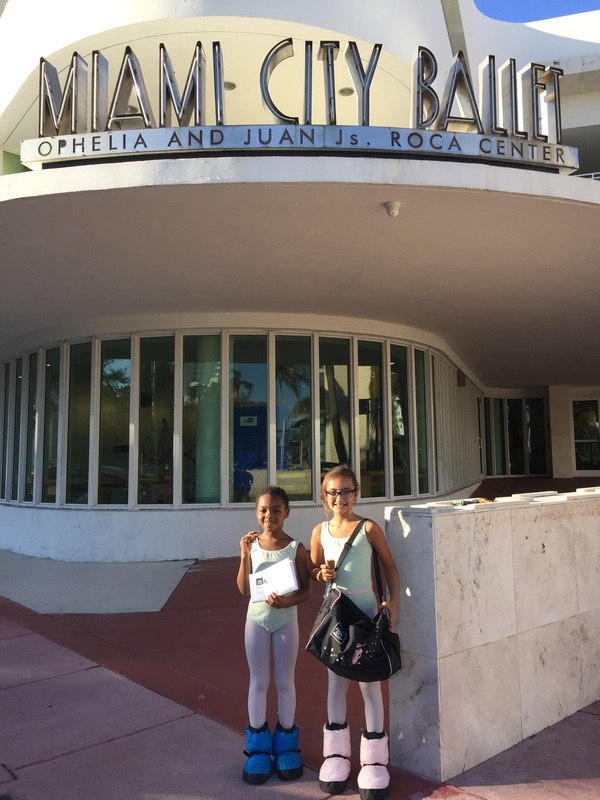 This year, 14 Ballet Bus scholarship students auditioned and were selected to perform with Miami City Ballet's professional dancers in George Balanchine’s The Nutcracker®. Rehearsals not only develop their dance skills but also teach them how to work in collaboration with each other, musicians, costume designers and backstage production staff. This year, 14 Ballet Bus students have been chosen to participate in 23 performances of George Balanchine’s The Nutcracker® alongside Miami City Ballet’s professional company. 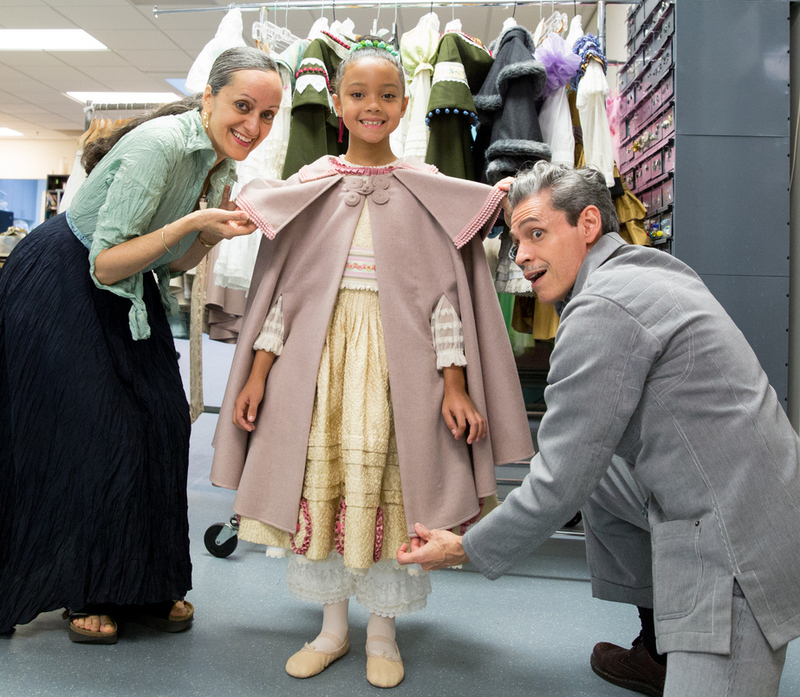 Here, Kiara gets a behind-the-scenes look at costume design during a costume fitting with Isabel and Ruben Toledo, the powerhouse artistic design team behind MCB’s new Nutcracker production. While developing their dance technique and artistry, Ballet Bus scholarship students also develop discipline, confidence, poise and the ability to work collaboratively. This training builds 21st century skills that serve them well not only in MCB's ballet studios but also in their academic pursuits and throughout their adult life. As children advance in MCB's Ballet Bus scholarship program, they audition and are selected to perform with professional company members in George Balanchine’s The Nutcracker® and other ballet productions, such as Jerome Robbins' Circus Polka. In addition to dance classes at MCB School, Ballet Bus scholarship students receive personal mentoring and informal academic tutoring from Ballet Bus counselors. Many Ballet Bus students experience an improvement in their grades as they progress through MCB's rigorous dance program. Before their afternoon dance classes at MCB School, Ballet Bus scholarship students are provided with healthy snacks, such as granola bars, to give them the energy they need to keep going strong all day long. Entering Year 4 in 2018/19, MCB’s landmark Ballet Bus program is a long-term dance scholarship program designed in partnership with Miami-Dade County Public Schools. Ballet Bus eliminates two of the largest barriers to arts access for students: the cost of premier dance training and the challenges of securing reliable transportation in a city limited by its public transit infrastructure. For nine months each year and for up to 10 years per student, MCB provides 40 young students (30 of whom have returned from prior years) with bus transportation, full tuition scholarships, dance attire, healthy snacks, and mentoring to study at MCB School for the full academic year. Each child receives four complimentary tickets for their family members to attend the holiday classic, The Nutcracker. The long-term investment in each child levels the playing field for children from diverse socioeconomic strata (mostly from Title I schools where 80% qualify for free or reduced lunch) by providing them with the highest level of arts training for a potential career trajectory in the arts. Ballet Bus serves as a vehicle for personal transformation, and is unparalleled in the nation. Ballet for Young People (BFYP) is a professionally produced, interactive, dance performance created by MCB to provide 6,400 young people from communities historically missing from arts engagement with the opportunity to enjoy a live ballet performance at a state-of-the-art theater. BFYP productions begin with an interactive demonstration of classical ballet technique. In a participatory section, students are encouraged to join the dance, followed by a question-and-answer section in which students interact directly with the MCB dancers. Students then enjoy an exciting ballet performance from MCB’s expansive repertory, as performed by the MCB School Pre-Professional Ensemble or professional Company dancers. Audience members leave with a colorful educational program guide crafted with activities related to ballet history, the ballets performed, and the exciting world of dance that many will have experienced for the very first time. Explore Dance provides first- and second-grade students from local Title I schools, with free after-school dance instruction from MCB School’s acclaimed faculty once per week for approximately 25 weeks per school year. In 2017/18, Explore Dance expanded to three classes in Miami Beach schools, allowing MCB to broaden its community impact in providing high-quality dance instruction. Like Ballet Bus students, Explore Dance students receive free ballet slippers and uniforms, complimentary tickets to George Balanchine’s The Nutcracker®, and the opportunity to share their skills in a final performance for peers and family members. Miami City Ballet’s commitment to diversity, equity, and inclusion drives our “Share the Dance” programming design and reach for the goal of eliminating barriers to arts access. Each year, MCB’s community engagement initiatives create accessible opportunities for more than 20,000 of South Florida’s students, families and community members. MCB’s collaborations with cultural and educational peer organizations have supported expanded programming in recent years, helping MCB reach audiences throughout South Florida, which would otherwise have not had the opportunity. MCB aims to engage and inspire communities through the classical ballet art form infusing their quality of life with the power of dance. Learn more about Miami City Ballet Inc.
Make a gift to Miami City Ballet Inc.